As a blogger, I am using my notebook/laptop for long hours. Thus, a need to use a cooling pad is a must. A cooling fan, a cooler pad or a chill mat, whatever they might call it, is an accessory for laptop computers that helps reduce its operating temperature. It prevents your laptop from overheating. It uses natural convection to enhance fan cooling, and ensures low power consumption via your laptop's USB port. This is already my second cooling pad, the first one that I bought has two small fans, and sooner I realized that it does not guarantee proper cooling, for I observed that during the first three hours of continuous laptop usage, I can feel the increasing heat. So, I looked for a bigger fan. I saw and bought this cooling fan for Php 300 at CDR King. It is easy to clean too, I just use a small paint brush to take out the accumulated dusts in and around the fan. So far I have been using it for 7 months already and I am very satisfied and happy for it functions the way I was expecting it. Almost lahat ata ng laptop dyan needs ng fan kc mainit ang klima.dito malamig all the time kahit nga summer time minsan hehe..anyway thanks for the comment have added and followed you too.btw, ganda ng theme mo :) lab it. i don't use a cooling fan, instead, yung buong electric fan nakatutok sa netbook ko!!! hehehe... ang gusto kong palitan is my netbook! bugbog sarado na talaga sa kakasulat and kaka-blog! hehehe... thanks for the visit! have a nice day! I am also using cooling fan because just like you, I am using my laptop I don't have desktop so cooling is also a must for me. 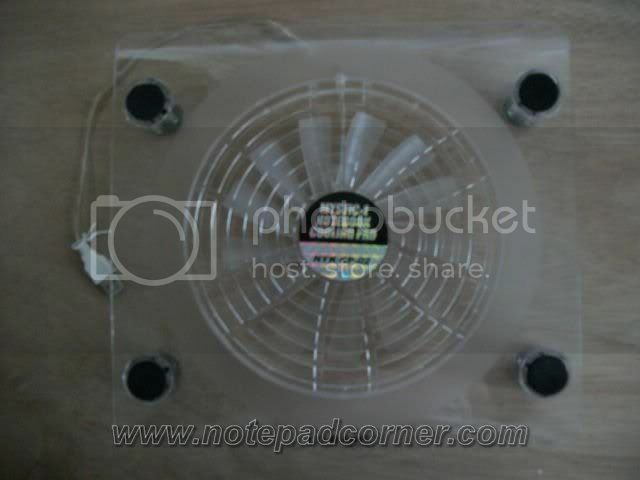 I bought a cooling fan kaya lang those made with plastic aren't recommended kasi natutunaw minsan sa sobrang init.